Greg Biffle is leaving Roush Fenway Racing after nearly two decades with the organization, he confirmed via Twitter on Monday. The team later sent out a news release confirming the split. It is not yet clear if Biffle, who turns 47 years old next month, will be retiring as a NASCAR Sprint Cup Series driver or attempting to land a ride with another organization. But he hinted that he might retire when his contract was up with RFR when asked about it at Kansas Speedway recently. On his Twitter account Monday, Biffle said his departure from the organization has been in the works for “many months.” He added later that he may explore possible opportunities in radio and television “both inside and outside of NASCAR,” but did not elaborate. Biffle, a former champion in both the NASCAR Truck Series and what is now the XFINITY Series, is coming off a series of frustrating seasons in Cup. Although Biffle owns 19 career wins in NASCAR’s top series, he has not won a race since doing so at Michigan in June of 2013 – a stretch of 129 races. In 510 career starts, he also has registered 92 top-five and 175 top-10 finishes with 13 poles. But this year he had just one top-five and three top-10 finishes in 36 starts, and he has managed a total of just seven top-five finishes across his last three Cup seasons covering 108 starts as Roush Fenway as a company appeared to far farther and farther behind the competition at the likes of Hendrick Motorsports, Joe Gibbs Racing, Team Penske and Stewart-Haas Racing. Biffle first began driving for owner Jack Roush in the Truck Series in 1998. He won 16 races and the 2000 championship in that series before moving up to what is now the XFINITY Series in 2001, where he won the championship a year later. Biffle owns 20 wins overall in that series. Both Biffle's Trucks title and XFINITY title were the first championships for Ford as a manufacturer in each series. “I don't have the words to say what Greg has meant to this organization,” team owner Jack Roush said in a statement. “He is a true racer who has always exhibited a will to win and an intense passion for speed. For almost two decades Greg has given us an opportunity to run up front and compete for wins. Biffle, a native of Vancouver, Washington, added that he appreciated his time at RFR. “We’ve had an incredible run and I am so appreciative for the opportunity to be a part of Roush Fenway,” said Biffle. “For a kid that grew up Washington, I'm extremely proud of everything we have been able to accomplish over the last 19 years – both on and off the track. I’ve enjoyed every minute. I’m excited about the next chapter of my life, and I look forward to exploring other opportunities – particularly in radio and television – both inside and outside of NASCAR. 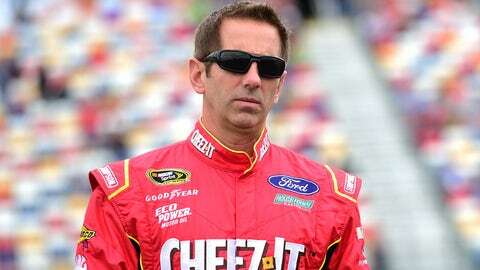 Biffle added that he especially will miss all the people he worked with during his 19 years of employment at RFR.